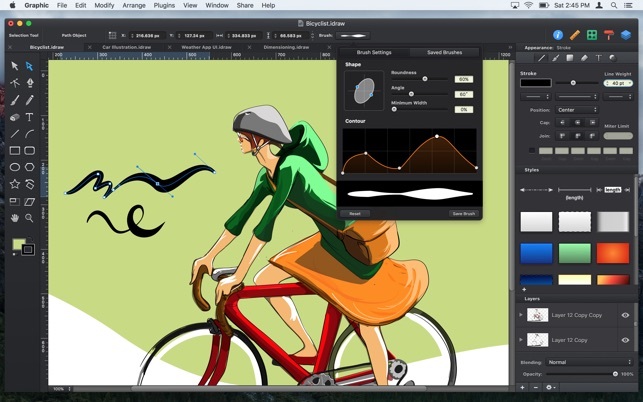 Graphic is a powerful feature-packed vector drawing and illustration application for macOS. 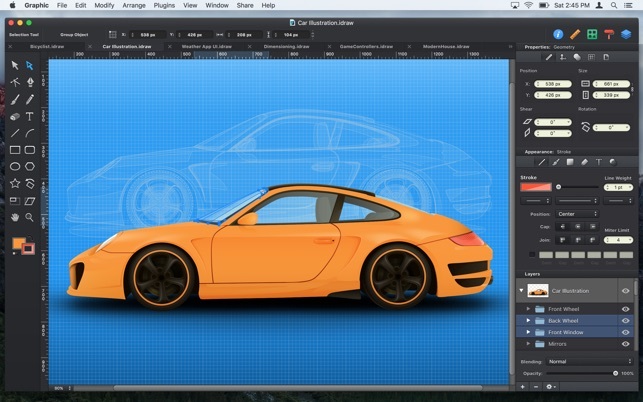 Graphic has all of the tools you need to create everything from detailed technical illustrations to beautiful works of art. 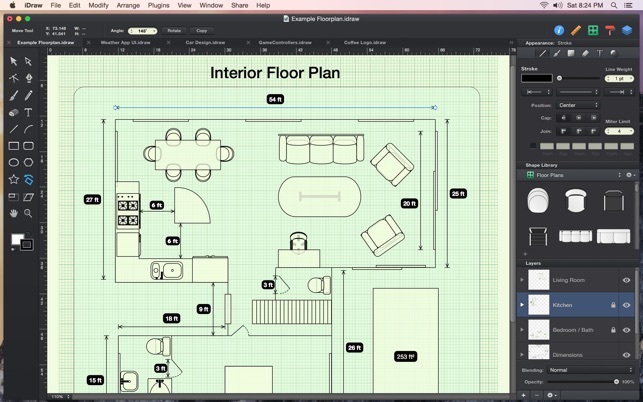 Create intricate designs quickly and easily, and continue working on the go with Graphic for the iPad. 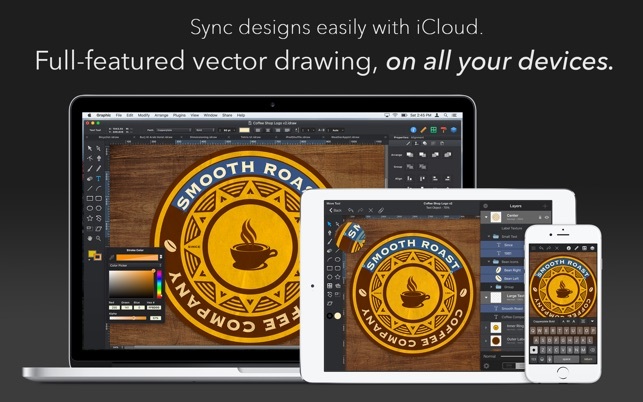 - Import SVG, PDF, EPS, and Photoshop PSD files. - Copy selected objects as PNG, PDF, SVG, CSS properties, and Core Graphics code. - Export icons, bitmap and vector images directly into Xcode xcasset folders. 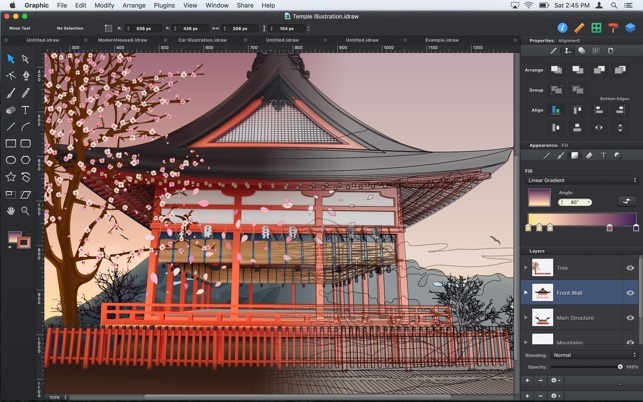 - Export layers and tagged objects automatically as individual files. - Plugins / Powerful scripting API. Recent updates to the iPad and iPhone versions of Graphic, with iOS 11 and iPhone X support. Many more new features for all versions coming soon! I’ve been using Adobe Illustrator for years - but not for anything particularly complex. For my needs, I find Graphic *much* simpler to use and, so far, everything I have attempted to do with the product has been not just possible but fun and very straighforward. I was pleasantly surprised to see just how intuitive it is. Somehow all the tools fall to hand exactly where you feel they should be and work just how you expect them to. The process of creating a vector drawing is an absolute pleasure. That is a key compliment actually - it is really fast and FUN to create drawings in this application. In terms of value, graphic is outstanding. Autodesk deserves massive praise for this lovely application and I hope they make a fortune from it. I have been using this app for about 2 months and I can see that it is very good in what it offers but it lacks many features offered by rivals like Affinity Designer and Adobe Illustrator - especially if you want to explore perspective drawing. Another annoyance is that colour picker tool is not in the toolbar and in my opinion digging deep in to dalog boxes to pick colours is very frustrating. My biggest concern is that this app has not been updated in 2 years and it may be that most of its user base will start looking elsewhere for the features which it is missing. I hope Autodesk is listening and will update this fantastic app. As a long time user of Adobe Illustrator and Macromedia Fireworks this App is a breath of fresh air. Very easy to use once you work out a few quirky ways of doing things and what makes it special is that it is quick to use and easy to understand. It allows use of the standard Apple Colour Picker which Illustrator doesn't allow, which is ideal. The killer thing about Graphic is that you can also use it on an iPad or iPhone which is useful for on the go changes. Looking forward to where Autodesk are taking this App. © Copyright 2018 Picta Inc.